South Korea nuclear engineering students who fought and protested for a nuclear re-start last week. In a stunning come-from-behind victory, South Korean citizens on a special jury voted 60 percent to 40 percent to re-start construction of two halted nuclear reactors. Environmental Progress applauds the citizens jury for choosing wisdom over ideology, and praises South Korean President Moon Jae-in for honoring their decision. EP especially applauds the university students, professors, and workers who protested and fought for a re-start to construction. 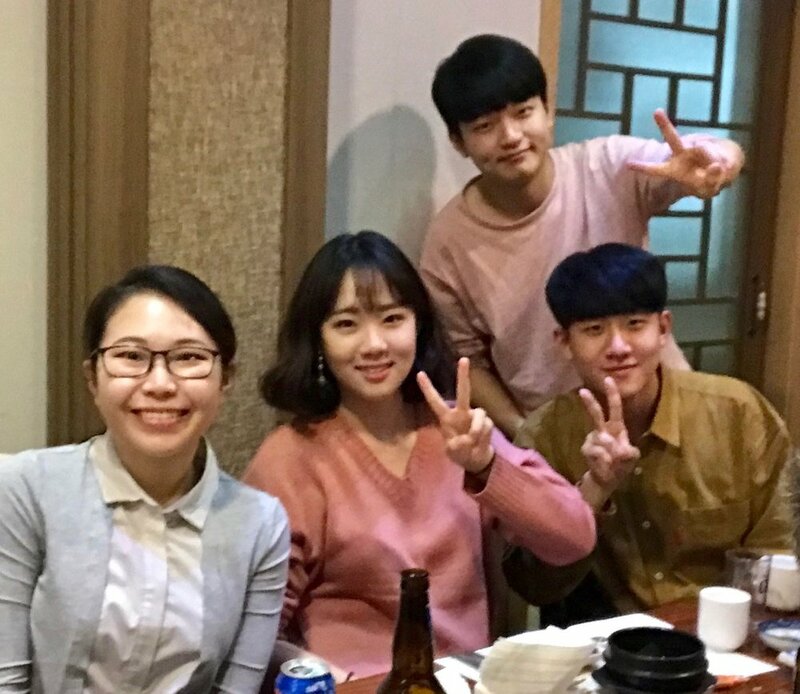 EP staff toasts South Koreans (with soju) for landslide pro-nuclear victory. The size of the victory was as unexpected as the victory itself. The minority of South Koreans who told me last week that they thought pro-nuclear forces would win thought it would be by the thinnest of margins. Sources close to the decision said that the nearly 500 citizens on the jury were polled four times before the final vote, and that support for the pro-nuclear position grew each time. Moreover, the youth vote — citizen jurors in the 20s and 30s — changed their mind more than did older voters. This is especially significant since young people were President Moon’s base of support in his electoral victory last May. The author with the construction managers overlooking Shin-Kori 5&6, the two reactors whose construction was halted but will now be re-started. EP was honored to have been invited to South Korea to share our research into the economic and environmental costs and consequences of a nuclear phase-out. EP published a special report — “The High Cost of Fear” — that estimated impacts of the closure on deadly air pollution and unemployment. I visited South Korea four times between April and last week, giving speeches and press conferences on each visit, as well as meeting with workers and students. Throughout the effort, Greenpeace and Friends of the Earth (FOE) lied about nuclear energy’s environmental and safety record. EP countered those lies in two investigative pieces and three separate open letters to President Moon and the citizens jury that were signed by climate scientists and environmentalists from around the world. EP's report quantified the impacts of a nuclear phase-out on jobs and the environment. EP is grateful to its donors and supporters for their generous support which allows us to be a fiercely independent voice for nuclear. The victory in South Korea gives momentum to the atomic humanist movement, which is fighting to save nuclear plants around the world, from Taiwan and Japan to France and Germany to Ohio and Pennsylvania. The victory is proof that democratic citizen action can result in stunning pro-nuclear victories where they are least expected. EP looks forward to working with our South Korean friends and allies to help that great nation to grow nuclear energy from 30 percent to 100 percent of its electricity — and maintain South Korea’s strong record building standardized, safe, economical reactors around the world.